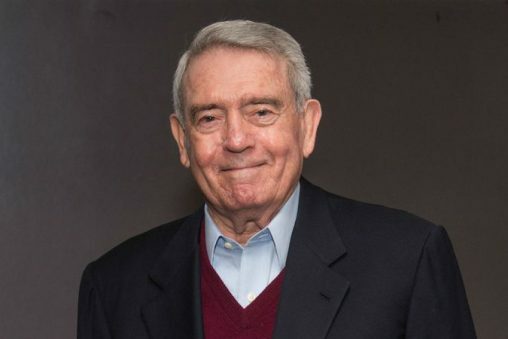 Dan Rather, the award-winning veteran news anchor, will give a lecture at Wright State University on Tuesday, Jan. 31. Part of both the university’s Honors Institute and the Presidential Lecture Series, Rather’s lecture begins at 7 p.m. in the Wright State Nutter Center Arena. It will be preceded by a public reception at 5:30 p.m. in the Nutter Center Arena. Both events are free and open to the public. Tickets are not required. The annual Honors Institute luncheon will feature an address by New York Times reporter John Herrman on Wednesday, Feb. 1, at 11:15 a.m. in the Student Union Apollo Room. The luncheon is free and open to the public, but registration is required. Register on the Honors Institute website. Rather has covered every presidential campaign since 1952. He was White House correspondent for “CBS News” during the administrations of Presidents Johnson and Nixon. During the 1960s, as chief of the CBS southwest bureau, he reported on the civil rights struggle in the South. He served as the “CBS News” anchor from 1981 to 2005. His international datelines have been as far ranging as Vietnam, Afghanistan, Iraq, China, Russia and Cuba. 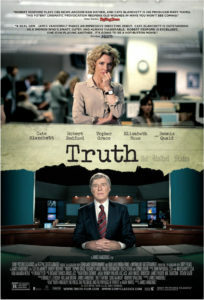 He received the 2012 Edward R. Murrow Award for Lifetime Achievement. He also received the Peabody and Sigma Delta Chi awards in 2005 for his reporting on the Abu Ghraib prison abuses, and in 2011, the CPJ Burton Benjamin Memorial Award for his support of independent reporting. After leaving “CBS News,” Rather founded a cable news magazine program that produced more than 300 hours of award-winning programming. His production company has developed projects that include an interview program, documentaries and digital video content. His memoir, “Rather Outspoken: My Life in the News,” was published in 2012. New York Times reporter John Herrman will give the annual Honors Institute luncheon address on Feb. 1. Herrman is a David Carr Fellow at The New York Times, where he writes for the media and business sections. He has written about the changing media landscape, including producing a magazine story about Facebook’s promotion of partisan politics. Previously, Herrman served as co-editor of The Awl. 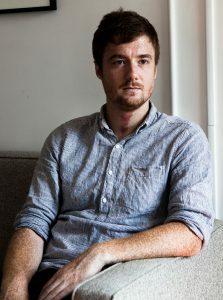 He has also covered the Internet and technology at Gizmodo, Popular Mechanics and BuzzFeed. The 2017 Honors Institute is supported by Wright State’s Office of the President with additional support from The New York Times inEducation program, University College’s First-Year Programs and the Honor Society of Phi Kappa Phi. Now in its 12th year, the Honors Institute regularly brings to campus well-known speakers with important stories to share. In recent years, the institute has sponsored talks by Apple co-founder Steve Wozniak; Neil deGrasse Tyson, director of the Hayden Planetarium at the American Museum of Natural History; physicist and author Michio Kaku; and deep-sea explorer Robert Ballard, who discovered the sunken Titanic. More information on the Honors Institute is available at wright.edu/honors/honors-institute.